We suggest updating your account password at least every other month for security purposes. Here’s how to change up your password. To assure you have the best security on your websites, we suggesting using the following tips in guiding you to a safe password. Never use actual words or names. I know they’re easy to remember, but they’re also easy for people to hack. Slap together some letters and numbers and be sure to save it somewhere! Include at least 1 capital letter with your lowercase lettering. Have you password be at least 8 characters long. If possible, use a password storing app such as LastPass or Keepass. This way you can save and generate strong passwords in there and update them simply whenever you’d like. No more trying to find that old napkin with your password on it! Those are just guidelines, not requirements, to help you keep your website secure. 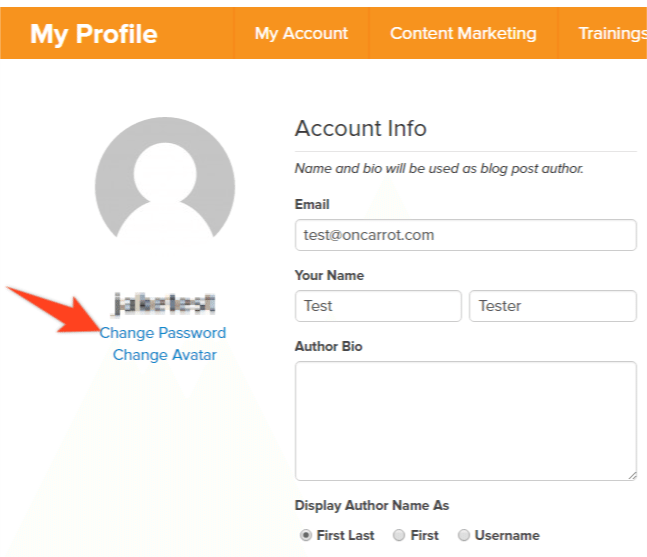 Now lets show you how to put your new password on your site.